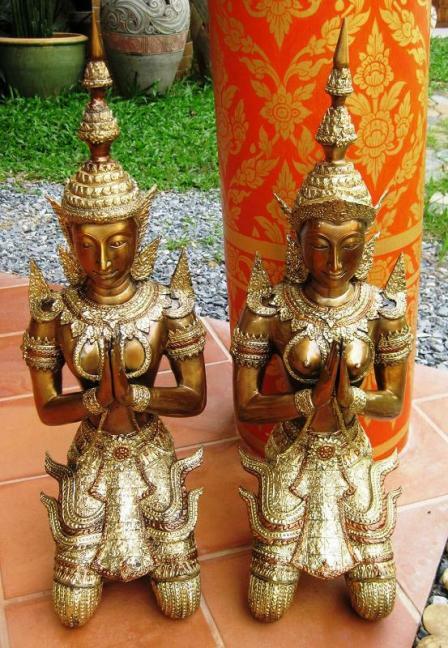 You may of seen brass kneeling Teppanom Angels at the entrance to Buddhist temples or in restaurants as a welcoming symbol to all guests. 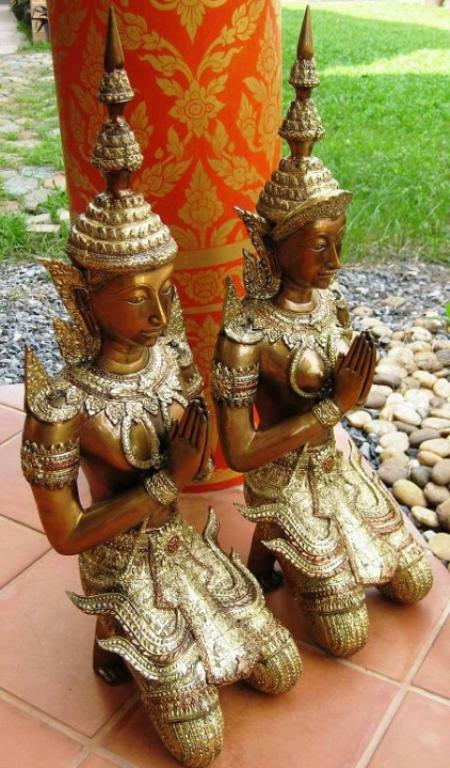 The Teppanom is a mythological angel and part of the Buddhist tradition in Thailand. 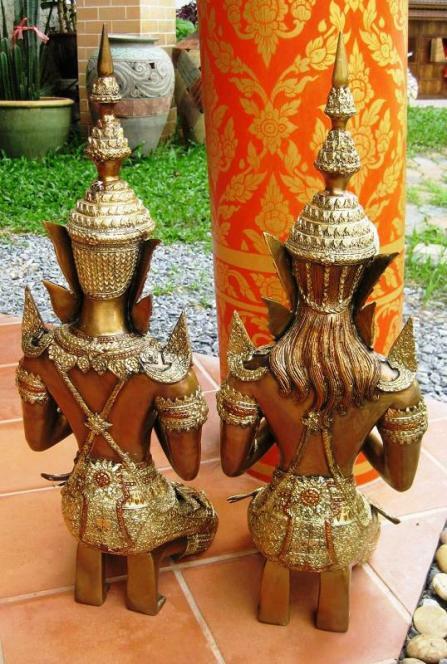 Kneeling Teppanom Angels are part of Thai mythology and can also be found in Royal Palaces in Thailand's. The Kneeling Teppanom Angels can also be custom ordered in larger sizes of your choice and they also can be made in silver or multi-coloured.